Life in a hostel makes a student self dependent. It makes him smart, active and disciplined. It gives all the students an ample chance to learn how to lead an independent and responsible life. It plays a vital role in the development of the personality of the students. Students of different habits and tastes live together under one roof which results in better understanding and more co-operating among themselves. 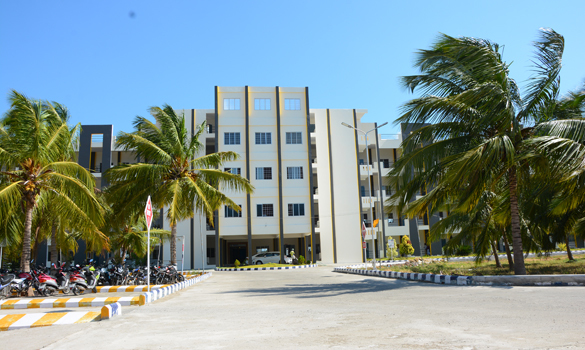 RCET provides a modern and spacious room well furnished with a cot, fan, study table, chairs and Wardrobes for every individual. 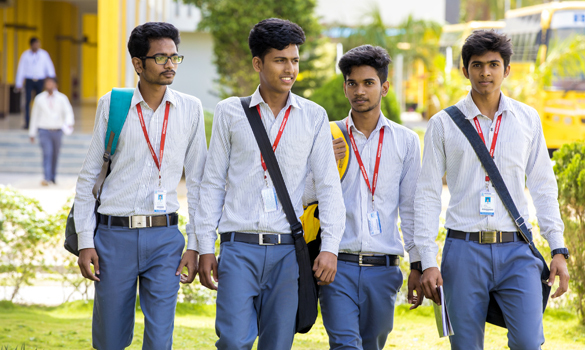 It is categorized into three different classes for both boys and girls separately and the students are offered residential accommodation in the best possible living environment. We ensure the students live in a healthy environment- mentally, physically and socially have always been at the top of our list. A modern and well-furnished hostel, that categorizes in to three different classes, is provided for both boys and girls separately. Elite: Granite Flooring & Luxury furnishing- 2/3 Bedded with attached bathroom. (AC, TV and Fridge optional). Premium: Cement Flooring & Normal furnishing- 4/3 Bedded with common bath room. Economy: Cement Flooring & Normal furnishing- 6/8 Bedded with common bath room. The hostel has a common room with facilities like TV and provision for indoor games like caroms, chess, etc. Common Prayer hall is made available for all students. Gym Facility is provided for both boys and girls with the finest equipment and fitness center with motorized electronic equipments, that are being used by our students from 6.00 AM - 8.00AM and 3.45 PM-6.00PM which helps our students to achieve their individual potential. A hygienic and delicious Tamilnadu / Kerala veg and non – veg food is served in unlimited quantity. RO treated quality drinking water is provided to the students. Food Court:	Well-furnished, Hygienic Food court with three counters which serves South Indian Vegetarian, Non- Vegetarian Food along with Snacks and Juices. Common Self Service Dine in, Restaurant facility with Dine in are also available. Luxurious Café Shop with Centralized Air Conditioner, which creates an electric, modern ambiance where students can spend their leisure time. Shopping Mart (Heritage):	Heritage is a compact form of the daily needful products like stationary, snacks, household cleaners, mobile recharge, pharmacy products etc in self-service way. DTP Centre, ATM Facility, Spa for students, Dispensary with Doctors, Online fees payment option, 24 hrs. generator backup facility. To make your transistion as smooth as possible,we strive to offer comfortable and safe residential facility in the greeny environment. TOGETHER LET’S CREATE A FAMILY!